Camp fun day or night, rain or shine! Plus, 4 standard and 1 jumbo deck of cards. From 4 to adult, for up to 8 players. 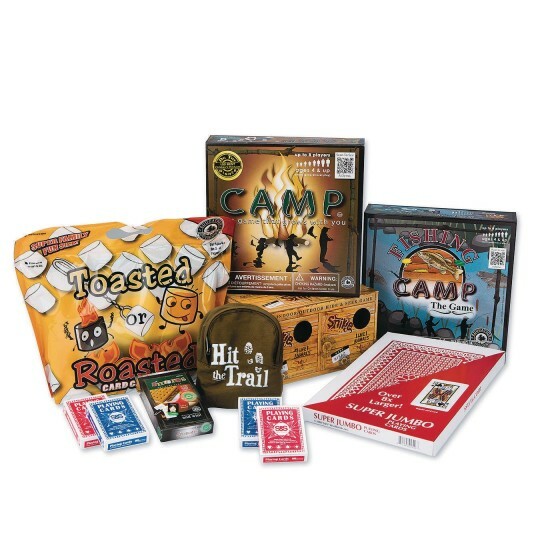 This pack will assure your camp is fun day or night, rain or shine! 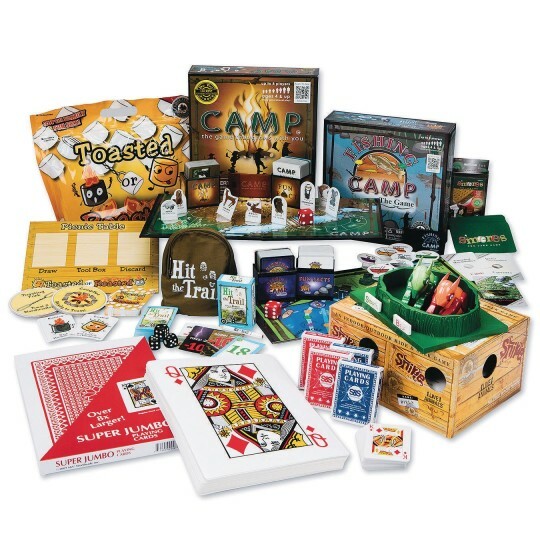 Includes 6 fun new camp games including Camp Board Game, Fishing Camp Board Game, Hit the Trail Card Game, Smores Card Game, Toasted or Roasted Card Game Set and the active play Snipe Hunt game. Plus, we also include 4 standard sized decks of playing cards and 1 Super Jumbo Deck of cards to play all your classic camp card games! Recommended ages vary from 4 to adult, for up to 8 players. The games with younger ages have options that make them suitable for older ages and for mixed ages. I loved the variety for all ages. I ran a camp with children from 5 yrs of age to 12 years of age and this pack had something for all the ages..